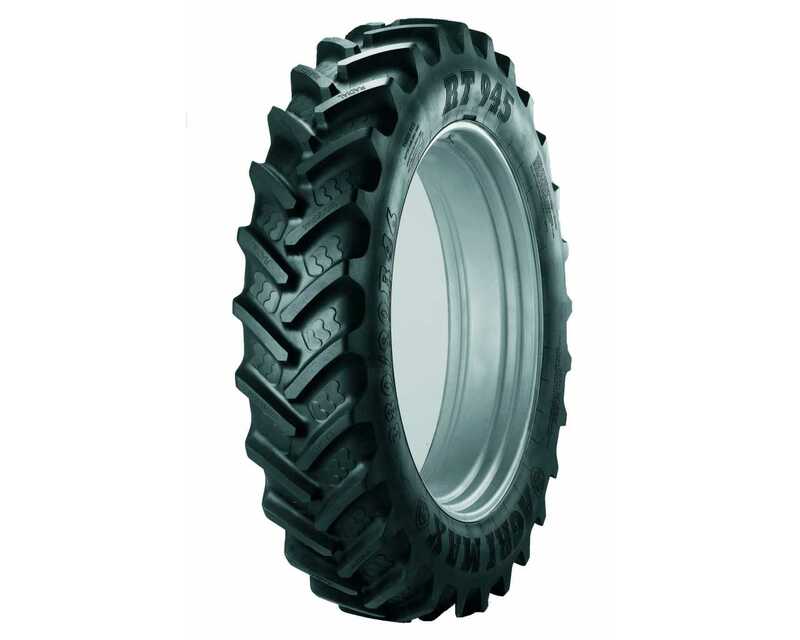 The AGRIMAX RT945 is a Row Crop series tyre from BKT. 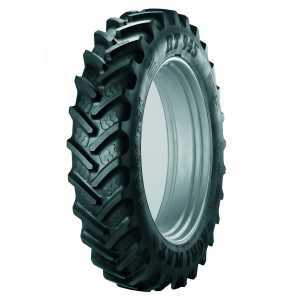 The AGRIMAX RT945 tyre is available in a few select sizes including 320/90R46. The load/speed index for this AGRIMAX RT945 320/90R46 tyre is 146A8/B which means it can carry a maximum load of 3000kg while travelling at a speed of between 40 and 50km/h. The AGRIMAX RT945 tyre from BKT is a radial tyre designed to fit the most heavy harvesting and treatment machines. The narrow tread on the AGRIMAX RT945 rowcrop tyre incorporates special features which protect the soil and avoid damage to the delicate and valuable crops. The structure is designed to take the sustained high speeds experienced on road journeys between agricultural locations, maintaining a particular smoothness in approaching the soil. The converging design shape of the lugs does not attack the soil, but penetrates lightly without compacting the surface. This is the result of carefully calibrated depth and the characteristic BKT surface, with variable inclination at the base of the lugs. The corners of the lugs of the AGRIMAX RT945 tyre are rounded to avoid cutting sharply into the soil.